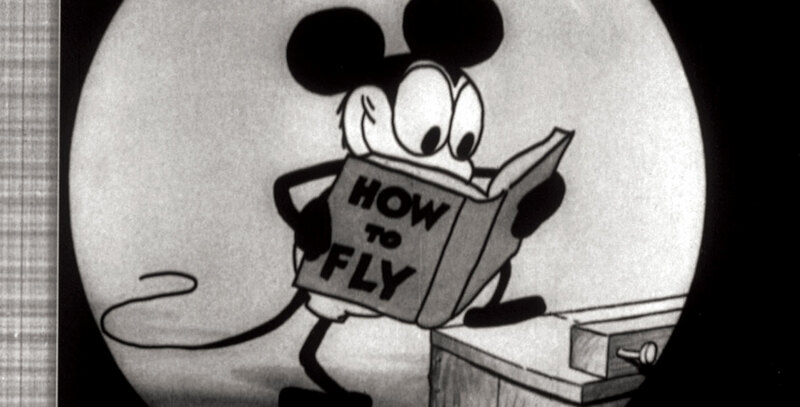 Plane Crazy (film) The first Mickey Mouse cartoon made, but the third one released, after sound was added, in 1929. Directed by Walt Disney. Inspired by Charles Lindbergh’s exploits. With the help of his farmyard friends, Mickey builds a plane and goes on an adventurous flight with Minnie until an unwilling cow passenger and an unwanted kiss ends the trip. Also later released as part of Milestones for Mickey (1974).